Washington D.C. – This week, the U.S. Postal Service released its financial report for the midway point of the 2018 fiscal year, which detailed yet another distressing loss of $1.3 billion. After monitoring the Postal Service’s financial mismanagement for years, Frontiers of Freedom expressed its continued concern about the agency’s direction. “The latest losses posted by the USPS offer yet another indicator that the organization and its governing bodies have neglected to offer meaningful solutions to avert a likely taxpayer bailout of the Postal Service,” said George Landrith, president of Frontiers of Freedom. As Frontiers of Freedom notes, the Postal Service’s ability to provide reliable and efficient mail service to all, and especially for those in rural communities, is a significant point of concern. 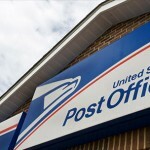 A recent report by the USPS’ regulator found that the Postal Service failed to meet its performance objectives for every single service included within First-Class Mail. Previous policymaking and management practices have proven insufficient for correcting the Postal Service’s course and the Administration must now seek new drastic changes to ensure a genuinely accountable and sustainable operation. This consternation refers to an analysis conducted by CitiGroup, which found that Amazon deliveries received an astounding average subsidy of $1.46 per package. Multiply this giveaway by hundreds of millions of packages that are captured by the secretive deal (known as a Negotiated Service Agreement) and it appears that USPS’ package losses surely are tremendous. Frontiers of Freedom reacted with continued frustration today in response to the U.S. Postal Service’s latest financial statement detailing a loss of $2.1 billion in the third quarter of the 2017 fiscal year. The latest losses this week ominously point to a high probability of the USPS ending the year in the red, which will mark the 11th consecutive year with a multi-billion loss. Year after year, data provided by the USPS details the financial strength of letter mail products, which often earn twice as much revenue compared to their costs. However, the Postal Service is lobbying its regulator, the PRC, to soon grant extensive authority to raise letter mail prices as part of its 10-year review that is due next month. A wiser course for the PRC would involve closer scrutiny of competitive products and new ill-advised ventures, like grocery delivery, same-day services, and expanded parcels products – all items that USPS fails to fully detail the associated costs and evades proper analyses regarding their long-term financial viability. By making sound management decisions and focusing on its core mail products, the U.S. Postal Service can best serve its largest base of customers and limit its potential exposure to taxpayers. As many large-scale federal government reforms continue to be considered, there’s hope that our elected leaders can advance new laws that reflect principles of limited government and traditional American values to help the nation succeed. In the case of the latest Postal Reform, however, Republicans are regrettably ushering in a bill that is lacking far too many conservative ideals. Bernie Sanders Has An Idea For The Post Office That’s Picking Up Steam. It’s A Bad One. Throughout his career, Vermont’s Bernie Sanders has championed postal reform. He wants to save the United States Postal Service and its hundreds of thousands of public employee union jobs, by broadening the scope of its activities. It’s an interesting idea, which is probably why the American Postal Workers Union was an early presidential endorser, and a bad one. Allowing the USPS to transact non-bank financial services opens the door to competition in areas private business has shown it can handle quite competently, thank you very much. When it comes to the U.S. Postal Service, the organization’s decline has been well documented for years. Last year the Postal Service lost $5.5 billion, marking the eighth consecutive year of multi-billion dollar losses. Further, for consumers, the Postal Service is still failing to meet performance targets for First-Class mail, Standard Mail, Periodicals, Package Services, and more according to a recent federal review. As the agency seeks to regain solid footing for its balance sheet and service standards, it’s clear that improved management at the top is necessary. In the last several months the Postal Service has made ill-advised efforts to expand into offerings that are unrelated to its primary letter mail responsibility and interrupt areas where such products are already provided.